As part of Interfaith Harmony Week, which took place between 1st – 7th Feb 2019. As part of our Interfaith Tree Planting Project, sponsored by the Mayor of London – Faiths Forum for London facilitated a tree planting event. 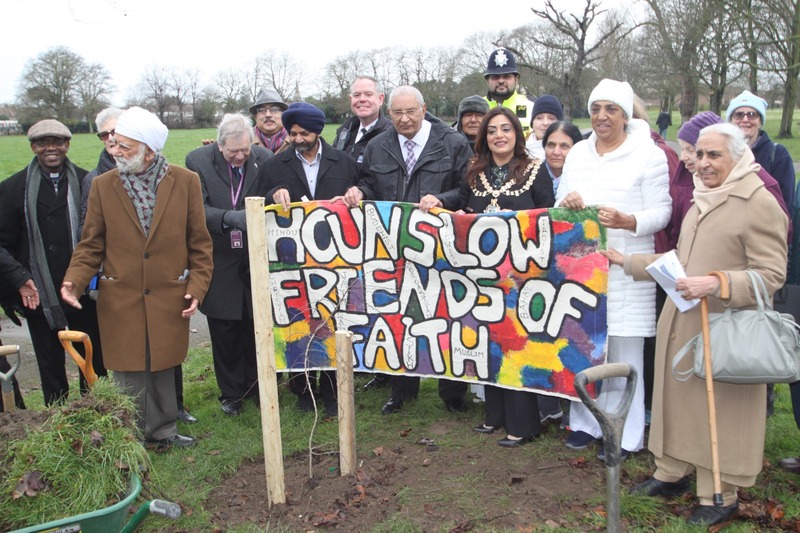 A Hawthorn sapling tree was planted on Tuesday 5th February in Lampton Park, by the Mayor of LB of Hounslow Cllr Samia Chaudhary on behalf of Hounslow Friends of Faith; 26 people attended this celebration including members from the Sikh, Christian, Hindu, Muslim and Brahma Kumaris traditions. Following the planting everyone was invited for a hot drink and biscuits in the Mayor’s Parlour in the nearby Civic Centre.